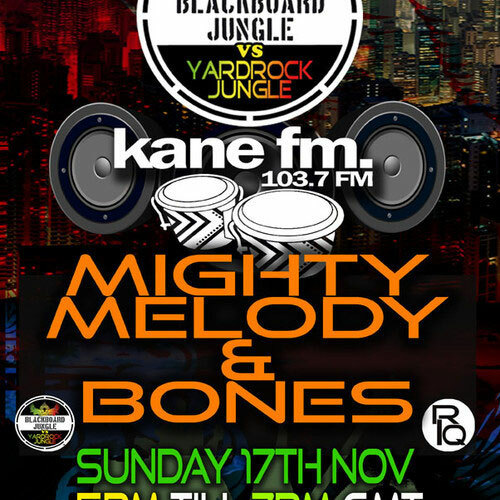 BONES plays a back to back unplanned jungle show with Mighty Melody (from Germany). Mighty Melody female dj, producer and a promoter coming from Dresden, currently stationed in Berlin (Germany). Passed 11 years she was working on her own production, and promoting parties through various groups all over Germany. Last few years has been touring North America alongside Dj K. Had a few official releases for Dub Chamber Records. @az Big high 5 and thanks for your support. Psychofreud- “style & fashion” on viking champion record- kinda really hard to track down through google, the album itself never showed up in regard to song title. epic mixing and keeping the tempo up! very very good mix, thanks! Nice long mix & it hipped me to Bones’ radio show. Thanks for that.